Are you rich enough to neglect your real estate assets? It has been repeatedly proven that with proper monitoring and maintenance of your assets significantly increases your building’s useful life expectancy—and reduces your operating expenses in the long run. WHY IS BUILDING MAINTENANCE SO IMPORTANT? 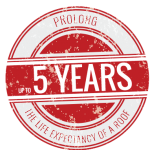 The life expectancy of a properly maintained roof can be increased by one to five years. The life expectancy of an unmaintained roof is reduced by 25%.